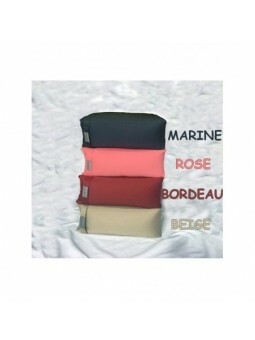 COUSSIN EN COTON COTONMARINE POUR UNE ASSISE TRES CONFORTABLE PENDANT VOS SCEANCES DE MEDITATION OU DE YOGA. LA HAUTEUR EST DE 15 CM A SON MAXIMUM, MAIS VOUS POURREZ LA DIMINT UER A VOTRE SOUHAIT EN ENLEVANT UN PEU DE SA GARNITURE DE BALLE DE PETIT EPEAUTRE. 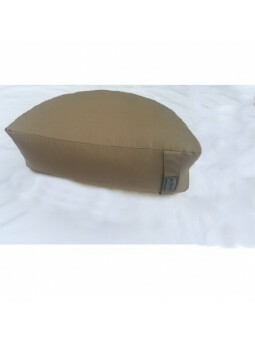 GRACE A SA GRANDE FERMETURE ECLAIR D'UNE LONGUEUR DE 50 CMS, VOUS POURREZ FACILEMENT DEHOUSSER VOTRE COUSSIN DE MEDITATION COTONMARINE AFIN DE POUVOIR LE LAVER. LE DIAMETRE DE CE COUSSIN DE 30 CMS EST IDEAL, ASSEZ GRAND MAIS PAS TROP ENCOMBRANT NI TROP LOURD. SUR CE JOLI COUSSIN EST BRODE : LA NATURE EST PARFAITE. LE POIDS EST DE 2 KG MAIS PEU VARIER SUIVANT LE REMPLISSAGE DU COUSSIN. UNE POIGNEE VOUS PERMET DE L'ATTRAPER ET DE LE PORTER PLUS AISEMENT. VOTRE COMPAGNON INDISPENSABLE A TOUTE PRATIQUE DE YOGA,MEDITATION, PRANAYAMA. IL CONVIENT PARFAITEMENT AUX DEBUTANTS COMME AU EXPERTS DE MEDITATION. COMPOSITION DES 2 ENVELOPPES DU COUSSIN EN COTON 100 %.